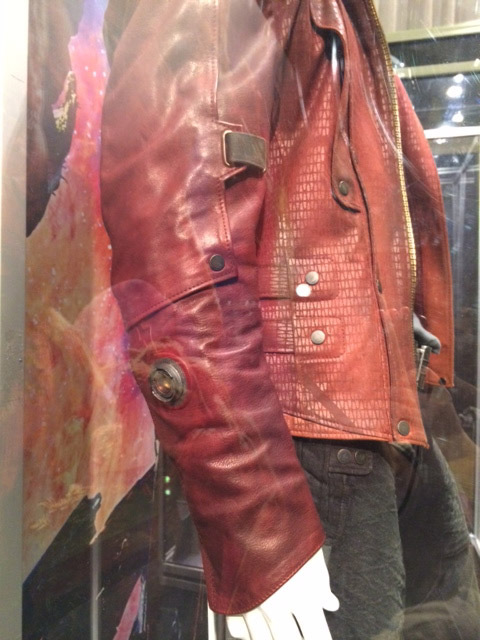 This is a picture of a display of the screen used jacket. I’m not going to lie, I was putting this off for two reasons. 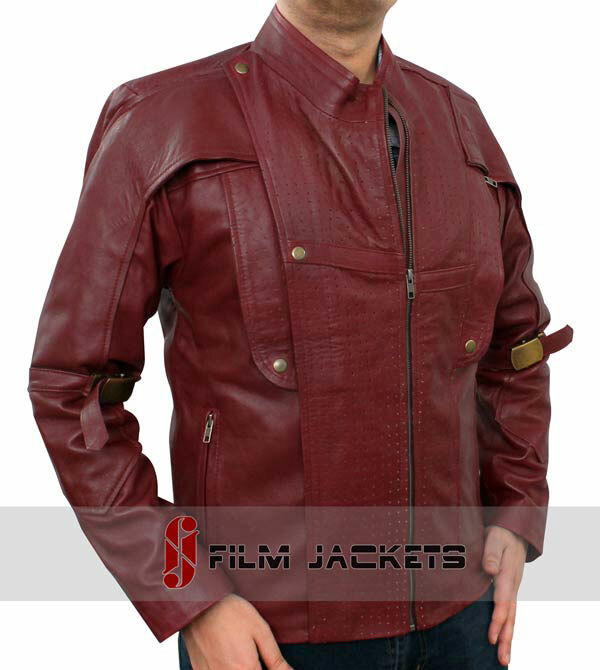 First, there are so many options out there for the jacket that it was incredibly difficult to pick the right one. I couldn’t find any that matched exactly and so this became an exercise in comparing numerous jackets to find one with the details I liked and without ones I could sacrifice. Second, the jackets are expensive. 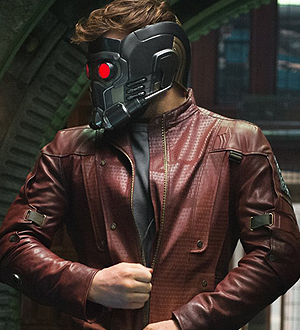 Red leather jackets – even if I wasn’t going for an exact match – are not cheap. And then, after weeks of agonizing over this decision, my wife made the jacket my anniversary present. Rather than surprise me the morning of (which she felt bad about), she decided to discuss it with me in advance and together we settled on a good one. We spent just a little bit extra to get one made of real leather rather than imitation, for realism and durability. Here it is! There are some details that don’t match exactly, but it’s not a bad substitute. While looking at this jacket on the website, we noticed multiple reviews where buyers stated that they were able to wear the jacket day to day. To us, that was an added bonus. 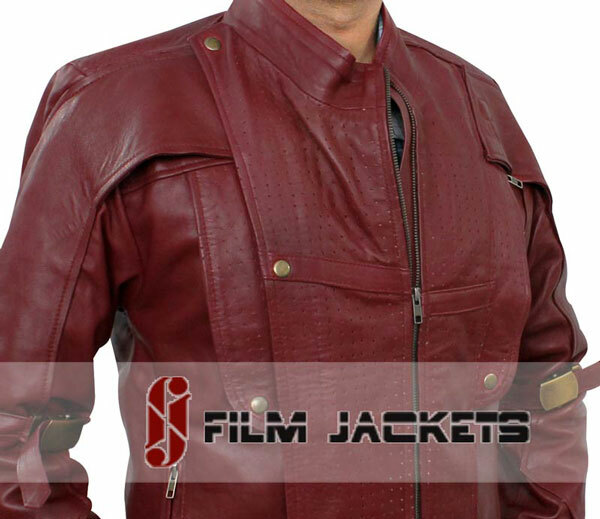 If you’re going to spend a ton of money on a jacket for a costume, may as well make it one you can wear when you’re not at a Superhero 5k or Comic-Con, right? 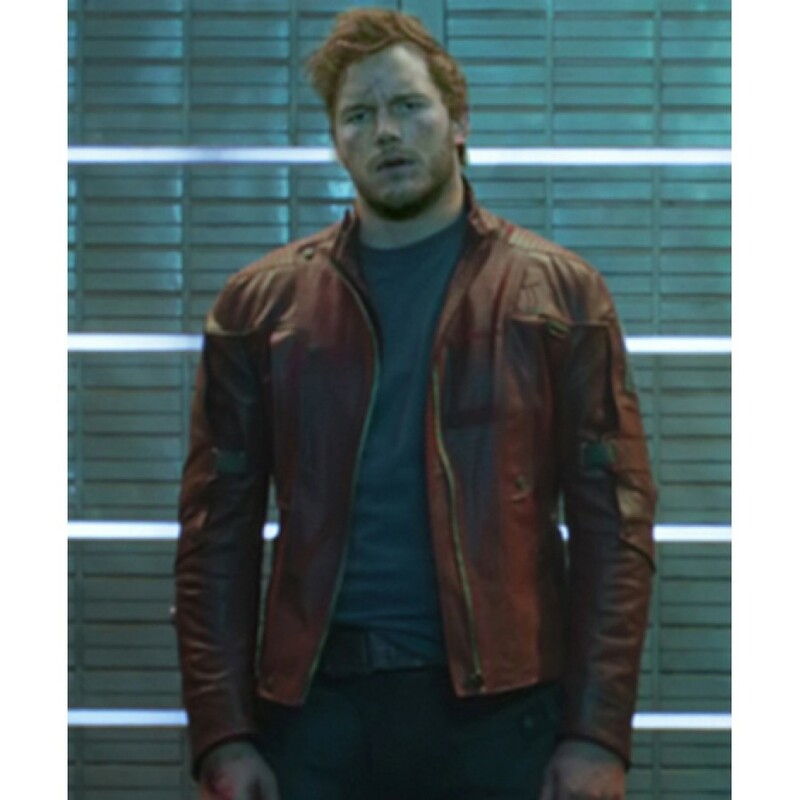 This entry was posted in Jacket and tagged charity, Chris Pratt, cosplay, costume, disney, guardians of the galaxy, jacket, leather, Marvel, Star-Lord, Starlord on August 13, 2015 by Liam.